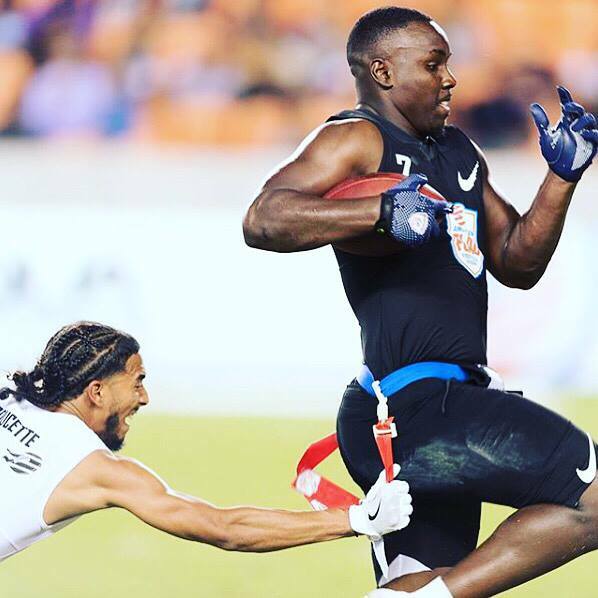 The American Flag Football League (AFFL), announced today the renewal of its partnership with CSM LeadDog, an award-winning integrated marketing agency, for the second consecutive year. AFFL leadership shifted its multi-agency approach in season one of seven different agencies to one company with its choice of CSM LeadDog to solely spearhead and execute all league-related services. CSM LeadDog will be tasked with integrated marketing, public relations, sponsorship, social media management and event production including, in-game promotions, fan experiences, and operations. The inaugural 2018 AFFL season consisted of a bracket-style, single-elimination tournament that featured 128 amateur flag football teams, and 4 teams comprised of professional athletes. The two champions, Godspeed (Pro Champion) and Fighting Cancer (Amateur Champion), met in the Ultimate Final to decide the US Open champion, with Fighting Cancer taking home the $1 million prize in a 26-6 victory. The Quarterfinals, Semi-Finals, Finals, and Ultimate Finals (amateurs vs. professionals) were televised live on the NFL Network.